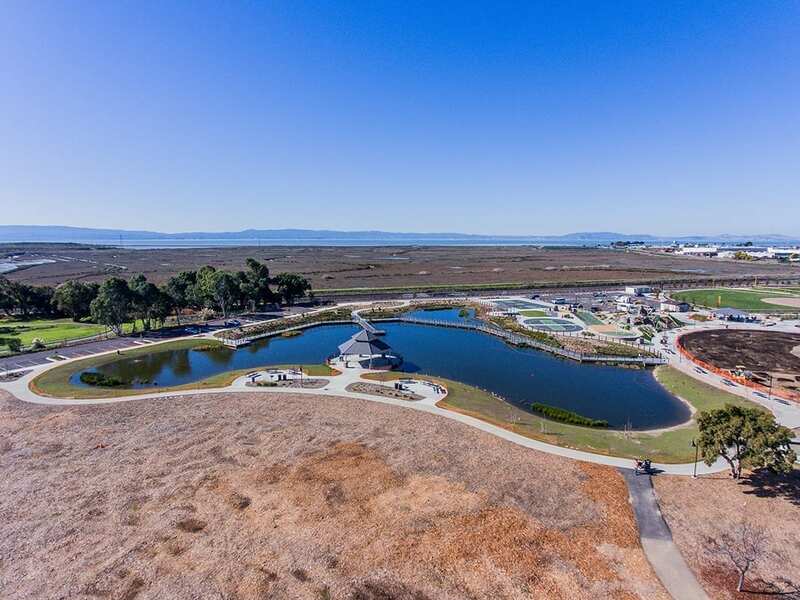 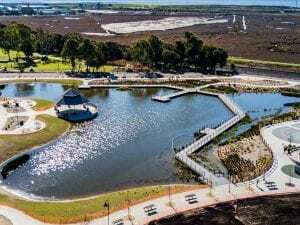 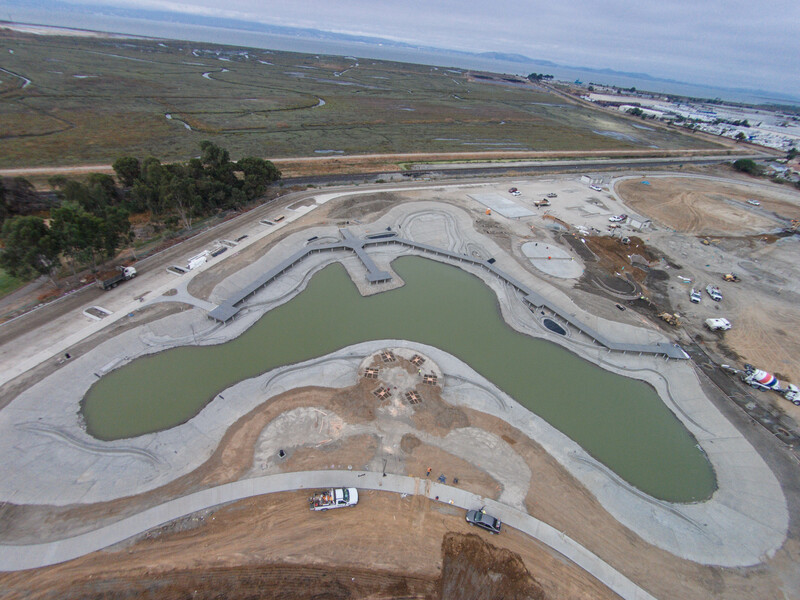 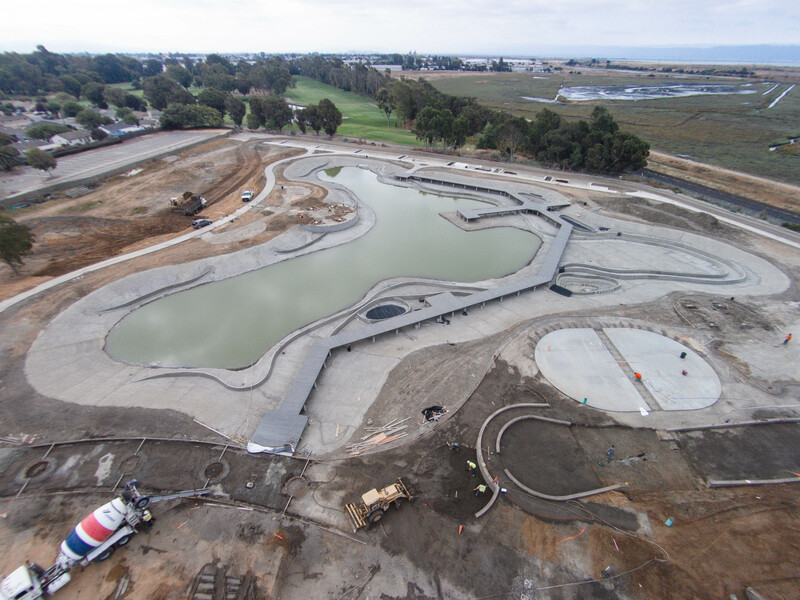 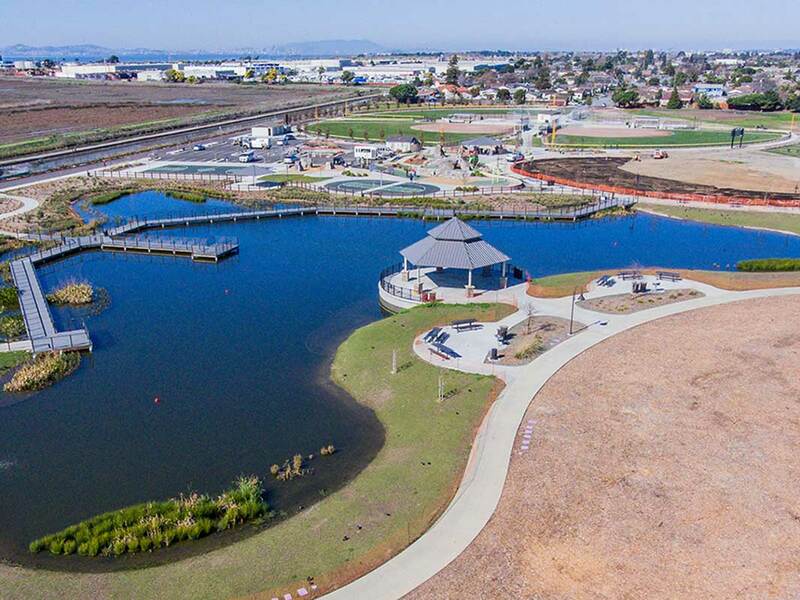 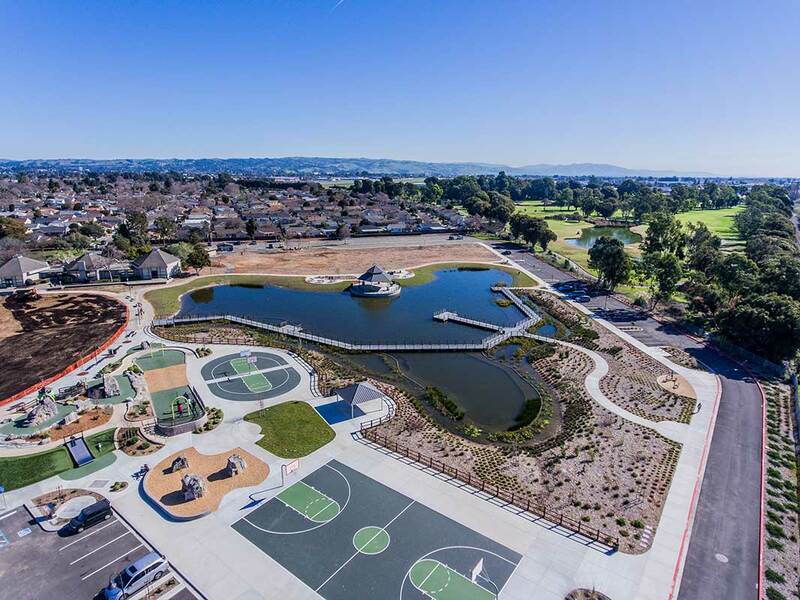 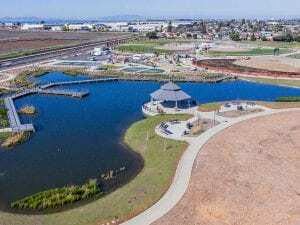 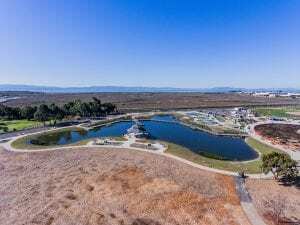 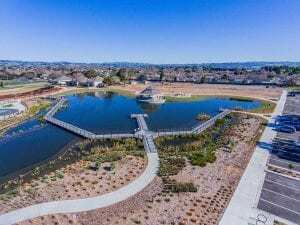 This 2-acre man-made lake, perfect for enjoying California’s fresh air and sunshine is now the showcase of San Lorenzo Park. 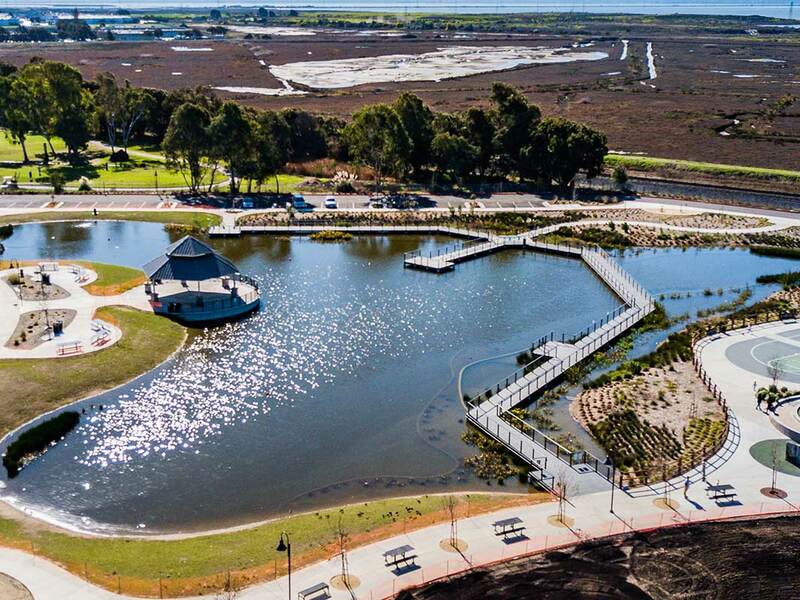 A raised boardwalk along the lake’s northwestern perimeter provides a beautiful view of the rippling water and trees beyond. 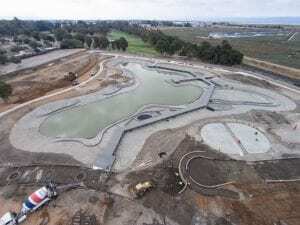 Underwater natural filtration zones, created by selecting and planting aquatic plants known to support a lake’s ecosystem, are strategically located around the perimeter of the lake. 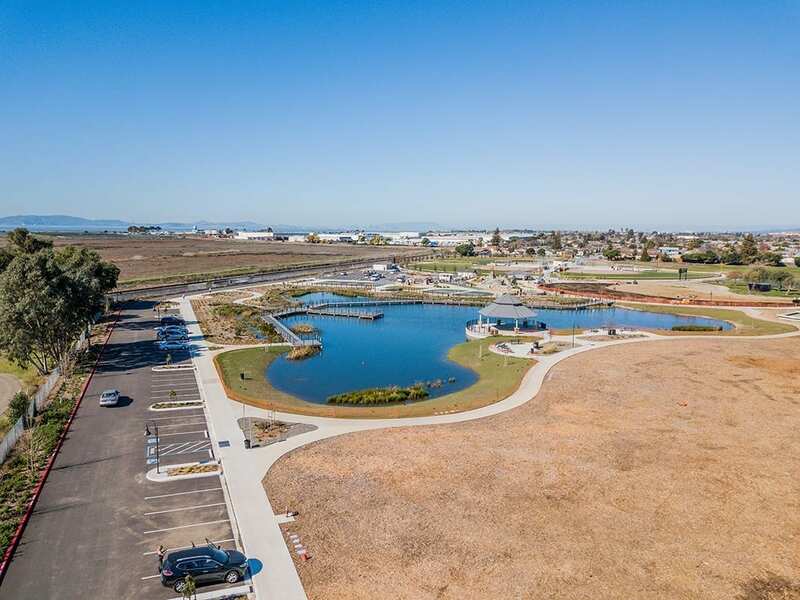 As water flows through these zones, the plants serve as a natural filter to improve the water quality before circulating back into the main lake. 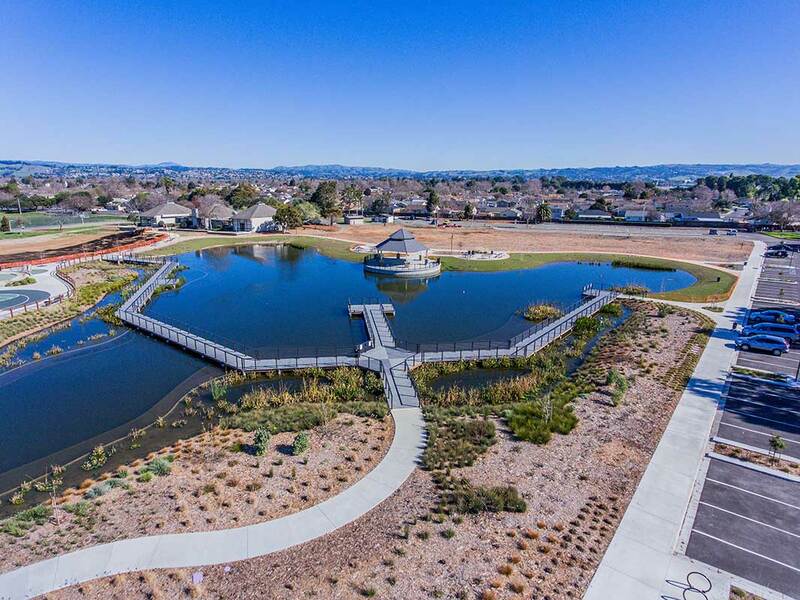 The community addition provides residents and visitors alike a wonderful oasis to relax and enjoy the sun reflecting off of the water, or picnic with family while watching ducks and swans bob on the surface.